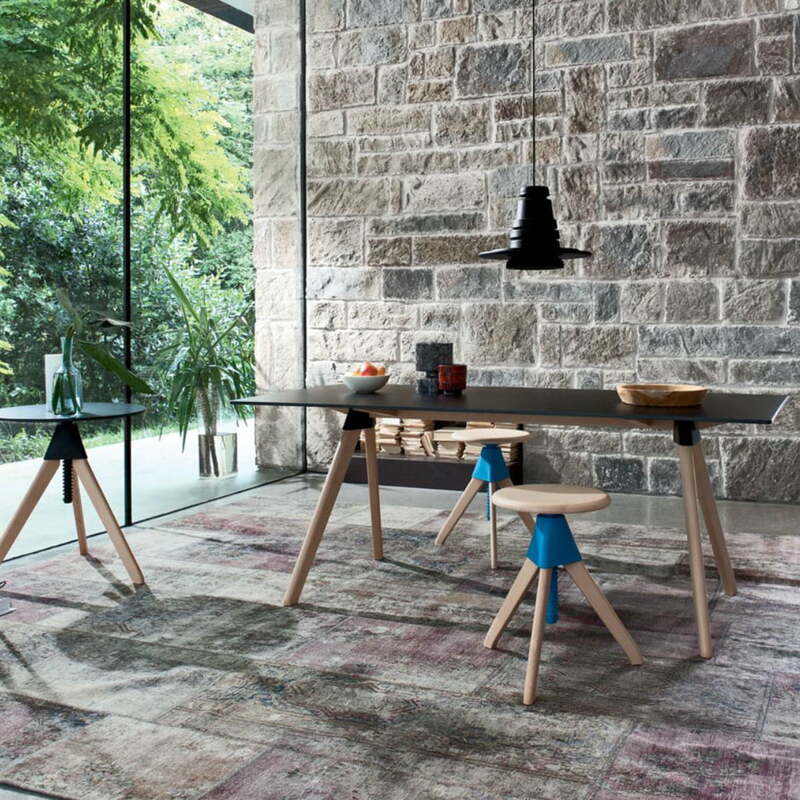 Butch is a dining table from the “The Wild Bunch” family by Magis. The collection designed by Konstantin Grcic started with the Tom & Jerry series in 2011 and since then has gathered all kinds of furniture - stools, side tables, chairs and shelves - with industrial charm. Inspired by traditional workshop furniture, Konstantin picks up typical industrial elements and interprets them functionally and attractively into the designs of the “The Wild Bunch” collection. 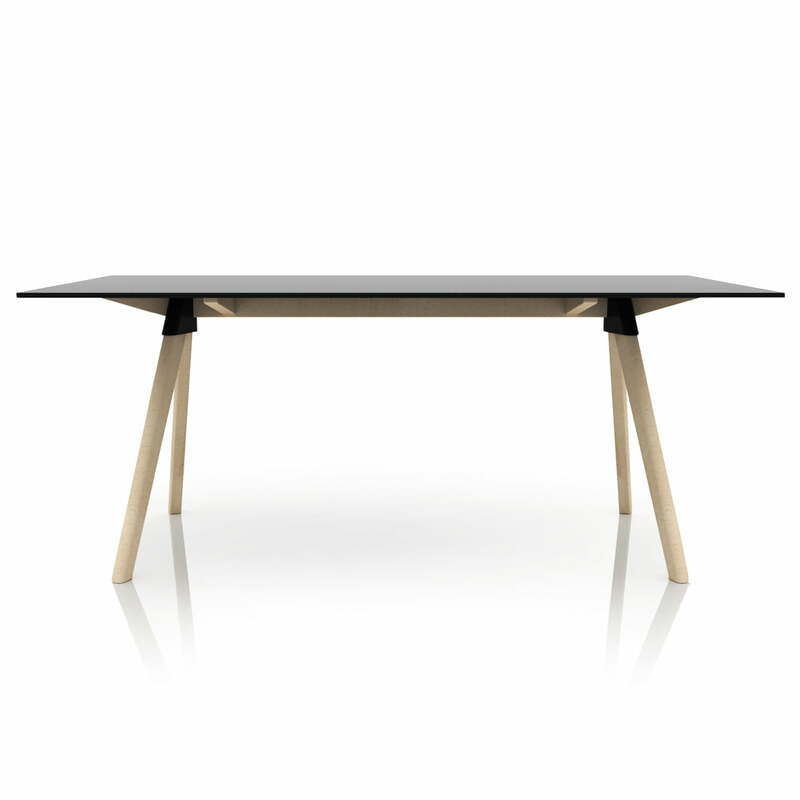 Butch is a dining table with a ample table top sized 180 x 90cm. 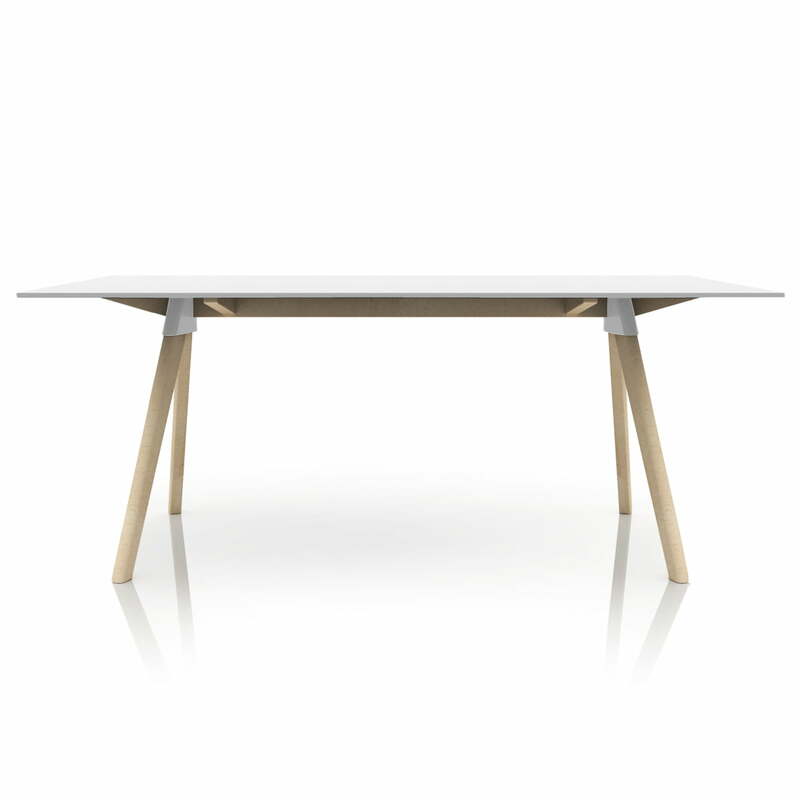 The table top is made from HPL and colour-matched to the glass-fibre reinforced joining elements of polypropylene. In contrast with the solid wooden frame, Butch delights - as do all members of the “The Wild Bunch” family - with an interesting mix of materials. Also available in a complete look with black frame and dark table top.